An insider's perspective on workforce wellbeing. I had coffee with Jennifer Benz of Benz Communications in April and she showed me her Fitbit. I ordered one the minute I got back to my office. 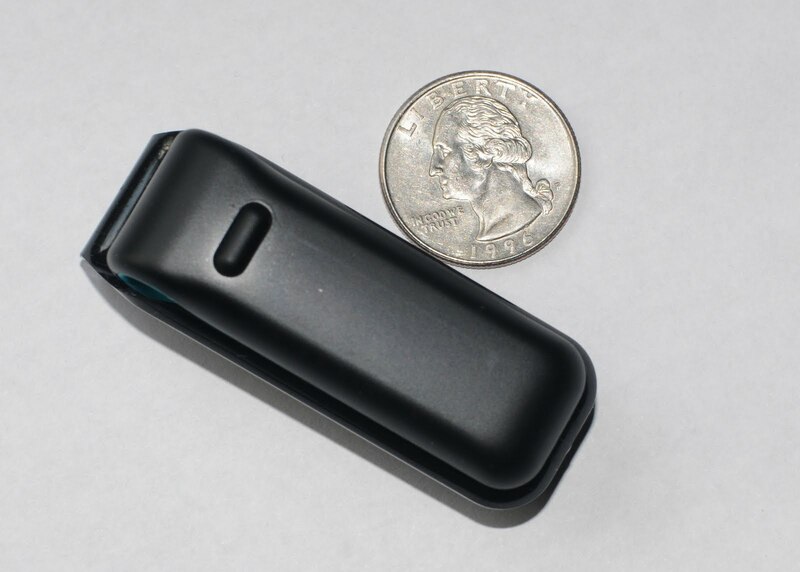 The Fitbit was developed by a San Francisco based startup by the same name. It does much more than a traditional pedometer. It tracks calories burned, steps taken, distance traveled, and even your sleep quality if you wear it on a wristband at night. The Fitbit uses a 3D motion sensor similar to what’s used in the Nintendo Wii, so it tracks your motion pretty accurately and can distinguish when you are sedentary, lightly active, fairly active and very active. It automatically uploads data from your Fitbit to the Fitbit website every time you get within 15 feet of your computer via a wireless base station that you plug into your USB drive. This could be a very useful tool for people that want to be more active, but don’t want to exercise or go to the gym. You could easily set a goal to reduce the amount of time you are sedentary and then just make a conscious effort to move around more. I think the impact of sleep on health is undervalued, so I love that Fitbit incorporated the sleep tracker. I don’t know how exactly it works, but it seems pretty accurate. Yes, I usually fall asleep in less than 10 minutes and wake up a few times during the night. If you saw a pattern that was troublesome, it would be easy enough to use Snag It to capture the graphs and put them in a document that you could print out and take to your doctor. Unfortunately, there are currently no print options available on the Fitbit website. I contacted the folks at Fitbit with a number of questions. A lot of what I was looking for was in development, but it seems a print feature has been overlooked. I’ve been logging all of my workouts in the activity section. Once you enter the data, it adjusts your calories burned and active score accordingly. The choices of activities that you can enter are frustratingly limited at this time. For example, Pilates is not included. We’re using the President’s Challenge site to track our activities as part of our Biggest Mover Campaign at work right now and their list is far more exhaustive. I understand that the folks at Fitbit are working on adding more options though. I’ve also been logging what I eat. Keeping a food journal when you assign calories to everything you eat is always a pain in the rear. It’s not different using the Fitbit website. You can add foods and enter the nutritional information for them and there are a lot already included. It’s a little clunky though. When I add a food, I have to go in and edit it to enter the nutritional information. Then, the nutritional information I entered doesn’t show up in my log unless I delete the original entry and select it again. You can easily view your calories, fat, fiber, carbs, sodium and protein. I haven’t found a way to view your calcium intake even though it’s something you enter when you put in the nutritional information. Like I said, keeping a food diary is always inconvenient, but I do believe it’s extremely helpful when you are trying to lose weight and it’s just good to do from time to time to inform your decision making. I saw quickly that I’m not always eating enough protein and I was reminded that there are 620 calories in a serving of Five Guys fries which quickly undoes an hour of kickboxing. I wish the site allowed you to record your body fat along with your weight. I’ve been particularly interested in looking at essential fat, reserve fat and excess fat lately. These are all formula driven calculations after you have height, weight and percent of body fat, so it seems it would be an easy feature to add. The Fitbit representative I corresponded with said he would forward this request to the Fitbit technical team for assessment. You can view your data over a 30 day period of time. I understand that Fitbit is working on allowing the user to select a date range and view data over shorter or longer periods. The graphs often disappear on me. I can’t figure out why. It’s annoying, but eventually they reappear. Fitbit is in desperate need of an iPhone app. I asked if they’re working on developing one, but that is the one question that Fitbit didn’t answer. It would make it much easier to keep the food and activity log up-to-date when you are on the go. Update 10/4/2011: The new Fitbit Ultra was introduced yesterday. Here is a thorough review published by engadget. thanks for reviewing! i've been wondering about how this compares to philips directlife, which is the gadget i bought. i'm finding that having the little activity tracker in my pocket is often enough to prompt me to get up and move.